Creative Writing is a complete writing course that will jump-start your writing and guide you through your first steps towards publication. • a substantial array of illuminating readings, bringing together extracts from contemporary and classic writings in order to demonstrate a range of techniques that you can use or adapt in your own work. 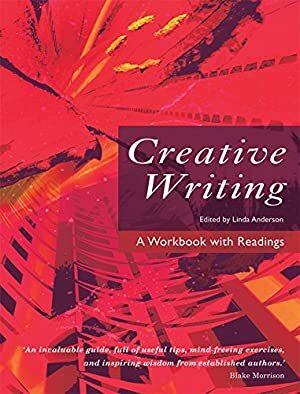 Creative Writing: A Workbook with Readings presents a unique opportunity to benefit from the advice and experience of a team of published authors who have also taught successful writing courses at a wide range of institutions, helping large numbers of new writers to develop their talents as well as their abilities to evaluate and polish their work to professional standards. These institutions include Lancaster University and the University of East Anglia, renowned as consistent producers of published writers. Track It. This book has been £20.65 within the past year. Log In to track Linda Anderson on eReaderIQ. to be notified each time the price drops on any book by Linda Anderson. to stop tracking Linda Anderson. We started tracking this book on April 8, 2014. This book was £19.94 when we started tracking it. The price of this book has changed 119 times in the past 1,837 days. The current price of this book is £26.55 last checked 6 hours ago. This lowest price this book has been offered at in the past 90 days is £24.13. This lowest price this book has been offered at in the past year is £20.65. The lowest price to date was £17.65 last reached on August 24, 2014. This book has been £17.65 2 times since we started tracking it. The highest price to date was £30.39 last reached on October 4, 2018. This book has been £30.39 one time since we started tracking it. We last verified the price of this book about 6 hours ago. At that time, the price was £26.55. This price is subject to change. The price displayed on the Amazon.co.uk website at the time of purchase is the price you will pay for this book. Please confirm the price before making any purchases.